If you’ve been having difficulty falling asleep at night, it may have to do with the way your bedroom furniture is arranged. Bedrooms are supposed to be calm, peaceful and quiet, as they’re synonymous with sleep and relaxation. If you have clutter all over your room and the furniture laid out in a cramped manner, you will probably have trouble unwinding and falling asleep at night. With the right adjustments, you can create a Zen room that will not only help you fall asleep easier, but also stay asleep. Chances are, your bedroom isn’t a room that friends or family see very much. Plenty of people like to keep this room closed off from the rest of the world, as it tends to be a more private place. But it also tends to be the room where stuff collects, and you may not pour the same energy into cleaning and organizing this room in the home since it is easier to hide. Yet with all that clutter, you can easily turn the most peaceful room in the home into the most chaotic. After a good clean, the next step is to assess your furniture. A Zen room is supposed to be relaxed, so don’t think you need to overdo the space. All you need is a bed frame, dresser and mirror, which can be freestanding or hung on the wall over the dresser. You may also have an armoire, which is perfect for storing clothes and accessories, as well as a vanity or desk. Your bed frame should be positioned in the center of the room so that you have the same symmetry on both sides of the bed. You can place end tables on either side so that the focal point of the room stays balanced. Another characteristic feature of Zen rooms is that the furniture is simple. Fortunately, it’s not hard to find basic furniture with clean, straight lines, as this is the style of modern and contemporary decorating. This type of furniture not only gives the room a clean and sophisticated look, but also it allows the room to appear large and uncluttered. You can go for any wood tone that you like, although Zen colors tend to be lighter in nature. A white or natural wood color would be perfect, and for added storage space, look for a bed frame that has a trundle underneath. Most beds have this option, and it’s a wonderful way to add the storage space you need without buying another piece of furniture. Your dresser and armoire should match the bed frame, keeping consistent with the same clean, straight lines. You’ll love that when aiming for a Zen collection, the whole room will come together perfectly and continue to outlast the trends, instead of becoming outdated like other furniture. The dressers and armories get their finishing touches with decorative hardware that is sleek and minimal in design. Make sure that all bedroom furniture is in an accessible position, as this is another feature of Zen decorating. You want the room to feel relaxed and comfortable, and you won’t achieve this if you can’t open an armoire door without bumping into something. Remember, less is more, so leap for the most basic furniture items and add in the details later. If you have the space to give, you can choose a comfortable chair to relax in, a meditation cushion or decorative water fountain. You can complete the atmosphere using curtains, area rugs and candles. Building a Zen bedroom is not as hard as you may think, and it’s a decision that will pay off in the long run. You can finally have that relaxing, comfortable room you deserve, while creating a space that will never go out of style. Like any room, it all starts in the furniture you choose, so be sure to opt for comfortable, simple furnishings that complement your lifestyle, décor and budget. Simple is best, so you can easily complete your room without much effort or fuss; just quality furniture that will surely stand the test of time and encourage healthy sleeping habits. That is neat that you have a zen garden & thank you katiem2! What's your favorite thing about maintaining a zen atmosphere? 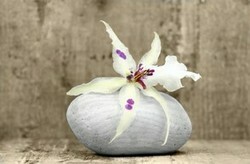 I love the idea of zen, you have some great tips on creating a zen atmosphere, I have a zen garden. Appointing your teen girl's bedroom with these budget-wise, three and four piece vanity sets allow you to stretch your decor allowance without sacrificing form or function.